Black Milk & Danny Brown - Black And Brown! This 6 track EP is a mix of electronic instruments, boasting big drums, airy synths and the charismatic vocals of Danny Brown. 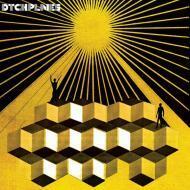 DTCHPLNES crosses time and genres from Euro dance cuts to bass heavy chill wave. Colored vinyl 10"